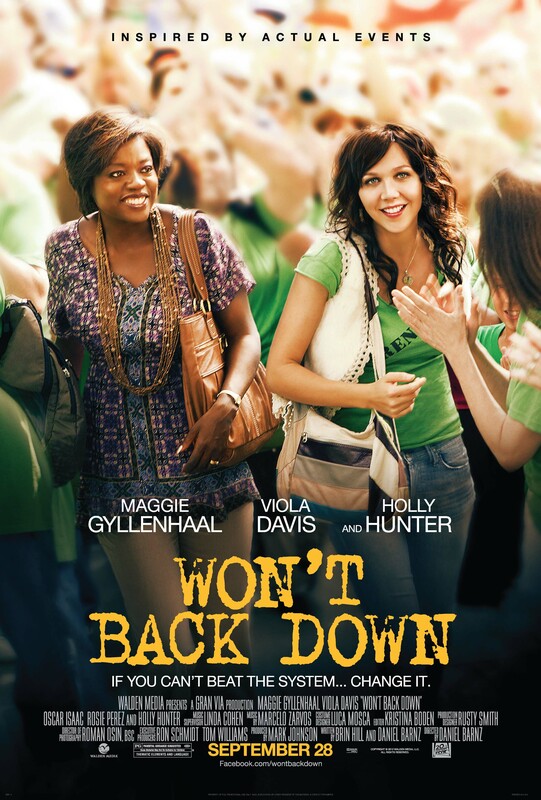 One of the highlights from my trip to New York was being invited by One2One and TheMoms to see an advanced screening of the upcoming movie, Won’t Back Down starring Maggie Gyllenhaal, Viola Davis and Rosie Perez. I loved hearing their perspectives on education and as I prepare to enter my own children into the public school system, it definitely gave me a lot to think about. I think this is a must-see movie not just because of the educational content, but also because it was a genuinely sweet film about the complications of parenting choices and how they affect us all. There have already been some negative reports saying that this movie is meant to incite infighting between parents. I didn’t get that feeling at all and only felt more empowered to pay attention to my child and his schools as he enters the system. At the end of the day, I think that was the goal of the movie and I thought they did a great job! Check out the trailer below as well as my clips from the audience chat with the actors! For more information about how to get involved with your local schools check out the WBD Toolkit. Won’t Back Down opens in theaters September 28, 2012. Enjoy! If you see Won’t Back Down, let me know what you think! That looks amazing! Can’t wait to see it! Please understand that this film is part of a very well-funded movement right now to privatize public education. The “parent trigger” laws that the film promotes have never been successfully implemented, because they are a legal quagmire, involving a small number of parents at one school appropriating something that is owned by the taxpayers as a whole and giving management of it to a private organization. This isn’t a parent takeover, but a private takeover. The laws aren’t designed to give parents more power in the end, in fact, in Adelanto CA (where the first parent trigger may actually take place after a protracted legal battle) parents tried to rescind their signatures from the trigger petition but a judge ruled that they couldn’t. There are tremendous corporate interests behind this movement. My state PTA board recently voted to oppose a charter school ballot measure, because it would strip local, citizen, and parental control away from public schools. When my children weren’t yet in school, I worried about our local public schools. Now that they are in 6th and 4th grade, I can look back and see that the vast majority of the teachers are trying incredibly hard, often with children who have tremendous challenges at home. If you are an involved parent and you bring your children to school prepared to learn, most of the time they will do very well. Parents Across America’s agenda is improving public education — through supporting schools and teachers, not attacking them. This movie is not about empowering parents, it is about the corporate takeover of public education. “Parent trigger” is simply a ploy to trick parents into handing public dollars to private hands. This movie is not about empowering parents, teachers, teaching, or improving education for our nation’s children. It is about using an emotional fictional story to trick people into supporting privatizing education. Like everything else, it is about profit. Shame. Really? Did you see the movie? Corporate Interests? What about the existing failing public school model? Whose interest is that? The unions? Its d@mn sure not in the best interest of the children. In most school districts across America, a tenured teacher can’t be fired, and may have no incentive to teach. Why? BECAUSE THEY CAN’T BE FIRED!!! The system is broken. Bloated administrations, layer upon layer of bureaucracy, federal, state, county, and municipal government regulation and over-site, teacher tenure, and down right incompetence all conspire to bring down your smoke and mirror hidden (it’s for the children) agenda. Your one sided and narrow minded view of the system as “working fine” and the mention of “profit” as motive, clearly indicate your ideology. It’s the eeeeeevil corporations not the rainbows, bunnies, and glitter soaked teachers unions. Really? It is the parent’s obligation to protect their child and the parent’s right to send their child to their school of choice. Wow, David Reason. Reason, written by people who think the answer to everything is cut taxes and make government smaller. You get poisoned by contaminated food, less health inspectors is their answer. As to they have no incentive to teach, the large majority of them want to teach and do teach. It is a myth that teachers don’t because they can’t be fired. One, they like teaching and believe in it and 2 they can be fired but it requires going through a process which people like yourself apparently find exhausting. As to the privatizing issue, many charter schools get the luxury of not having to accept kids with learning disabilities and they still don’t out perform the public schools (feel free to check NYC scores) and as to the success of Michelle Rhee in D.C. which charter school and anti-union advocates love to slather over; She still has yet to ever respond to the inquiry by the testing company as to the high number of erasures from wrong-to-right answers on the tests. According to the testing company, the odds of winning the lottery twice are less. I think parental involvement has to be intentional and it has to be constant. I just have one child in preschool and am already having to learn what it means to not know what he did for every single minute of each day. I can only hope that we have him in the right place. So far, I think we do. @David’s comments reveal the teacher-hating attitude behind Won’t Back Down, slickly disguised in a warm-n-fuzzy feelgood package. We can’t improve public education by attacking and disparaging teachers and turning their profession into jobs for temp beginners on their way to “real” careers. Every nation that has an educational system worthy of our admiration respects and admires teachers and treats them as professionals. Teachers need to be partners. 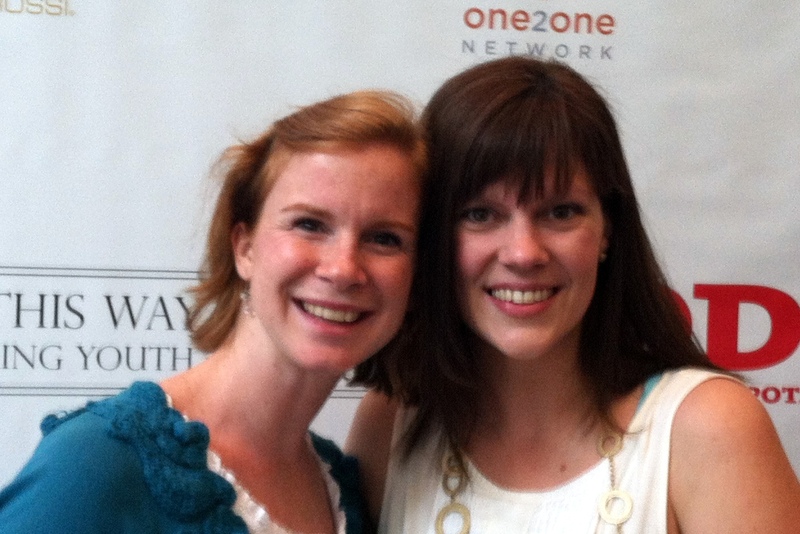 Hi Caroline! Thanks so much for commenting. I just wanted to point out that the majority of the teachers in this movie are outstanding and strong characters who love their classes. There are one or two that stand out as gaming the system, but they are not the norm. My takeaway from this movie was not at all anti-teacher. IT was 100% to stay involved with my child as they navigate the system. I think that is a pretty good lesson, no matter what the politics. I’ve seen the movie Andrea and read how it’s being used politically. The movie is being used by Teach for America and Michelle Rhee’s organization as a tool to attack public school teachers, teacher’s unions and the like, while at the same time profiting from their anti-teacher, anti-union movement. While it claims to be inspired by real stories, it’s very loosely based on it; In Adelanto, California and it wasn’t the parents it was a charter school company (I think called Parent Revolution. Parent Revolution was involved in trying this in Compton, CA and failed). I don’t teach, I don’t like the movie, it’s drivel and it’s financed by people opposed to public schools and are in favor of privatizing them. My job has me working overseas in Korea (We’re number 2 in the world in Education). The Ministry of Science, Education and Technology put out their most recent report on education around the world and what Korea can borrow from it, the answer was nothing. They cited the Charter school push as corrupt and inefficient. I have been trying to view an advance copy and haven’t been able to yet, but I understand that it DOES show some positive teachers. But you can see from the frothing-at-the-mouth hatred by one of the commenters on this thread that teacher-bashing and attacking public schools is a popular political policy currently, and the view of the abusive teacher(s?) and the idea that the only way for the parents to have any impact is to take over the school feed that hatred. It wouldn’t be effective propaganda if it showed all the teachers as vicious abusers, much as I’m sure the filmmakers would have loved to. It’s more subtle to show only one or two vicious abusers and then paint the whole picture that the only way to stop that is for the parents to take over the school — with the oppressed masses rising up and demanding that their public school be handed over to corporate privatizers. Teachers are enraged by this movie — go to its Facebook page and read the comments. Having seen the ultra-right anti-public-education (and inaccuracy-filled) propaganda movie Waiting for Superman, which was made by the same company, they know what’s coming, and they’re furious. If you didn’t see it as anti-teacher, it’s because you don’t follow the minutiae of the national education policy debate (understandably). And by the way, were you actually led to believe that something like this has happened? Because in reality, the parent trigger has been attempted at two schools, both here in California — and no others anywhere. There have been no successful parent triggers. In both the California cases, it ripped the school community apart, pitting parents against parents. If you’re a parent at a school and think about it, you can envision how that would be inevitable. That’s not good for school communities, families or children. Here are the outcomes of those two parent triggers. In the first, the charter operator opened a separate school a few minutes away. The enrollment figures show that just under 13% of the students at the parent trigger school left — hardly a demonstration of massive support for the charter. The other one is still being fought, with factions of parents and masses of legal costs draining the kids’ education resources (because the parent trigger operation keeps filing court cases). Those are not pictures of success. The movie is dishonest in implying that it’s anything resembling a true story. I did not get the impression that this was based on a true story. To me, it was like many other “cause” movies I have seen. There is conflict, there is an underdog, there is a fight. At the end of the day, it really was a movie about the parent/child relationship which is why it resonated so well with me. My sons are not yet in school so these are things I think about. I understand that no one wants to be the bad guy. But I don’t go into any movie with the idea that no one is trying to sell me something you know? I just try to enjoy the story. Look at the trailer that’s embedded on top. shot of a steel bridges over a river). THE ACTUAL EVENTS in countless ways. This is propaganda. Wake up. and remain at the public school. That’s right. portrays as a chld-abusing hell-hole. with the goals of corporate privatizers? who lock kids in janitor’s closets. against teachers and their unions. Have you written about it Jen? I’d love to hear your thoughts. I am definitely getting an education! I Jose Morales am 38 years old; I am a parent of a ten-year-old son Michael and a four-year-old daughter Alyssa. I live in the city of Adelanto, and have been married for 14 years. I am currently attending Victor Valley College along with my wife Jessica. Education has become an important part of our family’s lives. As a parent it was disheartening to find out that my child’s school had been classified as an underperforming school; at the bottom 6 percent in the county. Desert Trails has continuously failed to make adequate yearly progress and has reported unacceptable scores for the past six years; this has become an unfortunate trend at our children’s expense. I soon discovered that the most essential activist for my son and daughters education is me (the parent). In my perspective, if a system that is failing our children has the opportunity to be transformed into a successful school, why fight the change? Our children are at their learning peak; ready to absorb the information a great educator can deliver. Then why isn’t my child learning to his full potential at desert trails elementary? I became aware of many disturbing events happening at Desert Trails Elementary School, including teachers aides yelling and cursing at kids, when I asked the aide why are you like that she responded with ”I’m waiting for them to fire me so I can leave but they won’t.” these are some of the reasons that inspired me to join the Desert Trails Parent Union. As the DTPU recruitment coordinator, the objective is to inform parents of our educational goals for children. Parents have joined together and embarked on an educational journey that has led to a monumental court decision agreeing with our goals for parents to express change. Our hope is that in 2013, Adelanto will produce a thriving school with a kid’s first agenda. The forming of Desert Trails Parent Union was a very important factor when it came to protecting the rights of all children. Our children’s future depends on their education, as a parent my genuine hope is that one-day all students will have an opportunity to go to a first-rate school. The objective is for parents, students and educators to work together in achieving a common goal of academic success for all students. The Parents have asked the Adelanto District to view the history of Desert Trails and offer our students and their families an opportunity for a first rate school based on positive performance. [WORDPRESS HASHCASH] The comment’s server IP (69.170.134.50) doesn’t match the comment’s URL host IP (74.200.243.251) and so is spam.